We hear a lot about cyber attacks and the latest threats, but it can sometimes be hard to comprehend the scale of the problem. 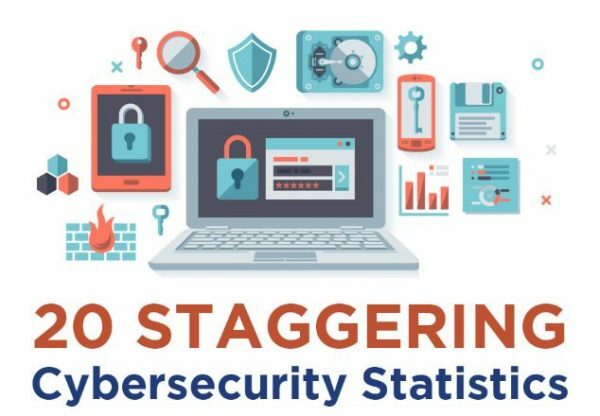 Network security company Bricata has produced an infographic that sets out some of the statistics to put things into context. These include the average cost of a breach, currently $7.35 million; the average CISO salary, $273,000, and venture capitalists investing $3.5 billion into 400+ security startups in 2016. Researchers estimate spending on security defenses will rise to an eye-watering $1 trillion by 2021. The graphic also looks at the threats behind all of this. Ransomware attacks have grown by 50 percent in 2016 and almost half (46 percent) of organizations have experienced a security breach or incident, while 80 percent of cyber security leaders think their organization will be attacked. It also highlights the massive volume of attacks, with 37 percent of banks receiving more than 200,000 security alerts per day. The source of attacks is interesting too, with 58 percent coming from insiders and 58 percent of employees retaining access to corporate networks after leaving a company. There are also still worrying levels of ignorance, with 30 percent of adults not knowing what phishing is. You can see all of these statistics and more in the full graphic below.